At the Faculty of Biology and Psychology students can study three scientific oriented undergraduate programs: B.Sc. Biology, B.Sc. Biochemisty, B.Sc. 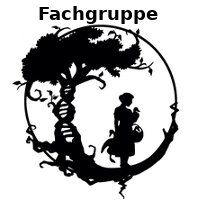 Biodiversity and Ecology (all taught in German) and three consecutive programs for graduates: M.Sc. Developmental, Neural, and Behavioral Biology, M.Sc. Molecular Life Sciences: Microbiology, Biotechnology and Biochemistry and M.Sc. 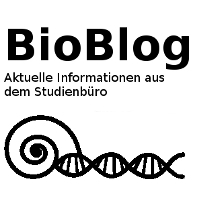 Biodiversity, Ecology and Evolution (all taught in English). Besides the Faculty offers the educational Bachelor of Arts and Master of Education in the subject Biology. 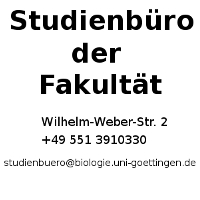 The study of Biology at the Georg-August-University is in the Bachelor program characterized by a wide spectrum of options in the different biological fields, which can be deepened in the specialized Master programs.